/Cover Order /NEST Trading App /How to place Cover Order in NEST Trader? Click on cover order entry under the menu “orders and trades” or can use the short cut key Shift + F1 for buying cover order and Shift + F2 for selling cover order. Once the order is placed, you can see the pending SL order in your Order Book as shown below. 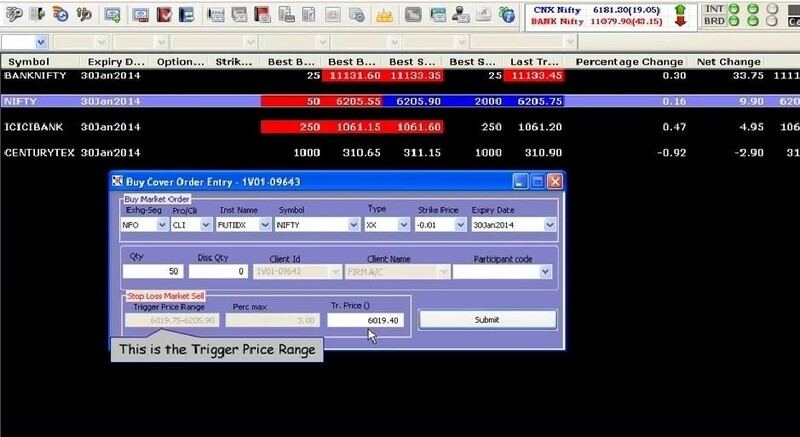 Once the SL is placed, it can be modified by selecting the pending order in your Order Book (F3). Note that the SL can only be modified as a SL order in the range that is provided in the Cover Order window. To exit a Cover Order position, you need to go the order book, click on the pending SL and click “Exit” as shown in the pic below. This is the only way you can exit Cover Orders. You cannot partially exit a Cover Order, they have to be entered and exited in a single order. How can I download the NEST mobile trading software? How can I get NEST Plus API activated for Algo Trading? Both Cover and Bracket orders have their own advantages. 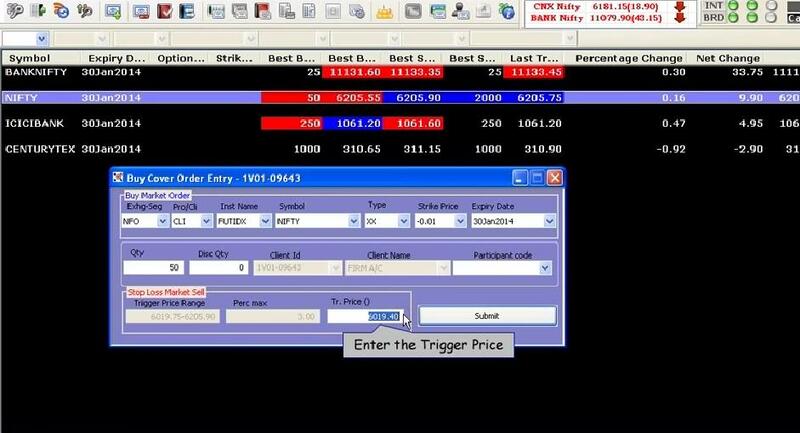 The cover order is a 2 leg order in which 1st leg will be your buy/sell action and sub leg will be a stop loss order. On the other hand, bracket order is a 3 leg order in which 1st leg will be your buy/sell action and sub legs will be target and stop loss orders. Can we use co and bo for intraday options? Yes, you can use CO/BO for intraday options. For more information, please click here to know the intraday exposures in different segments.